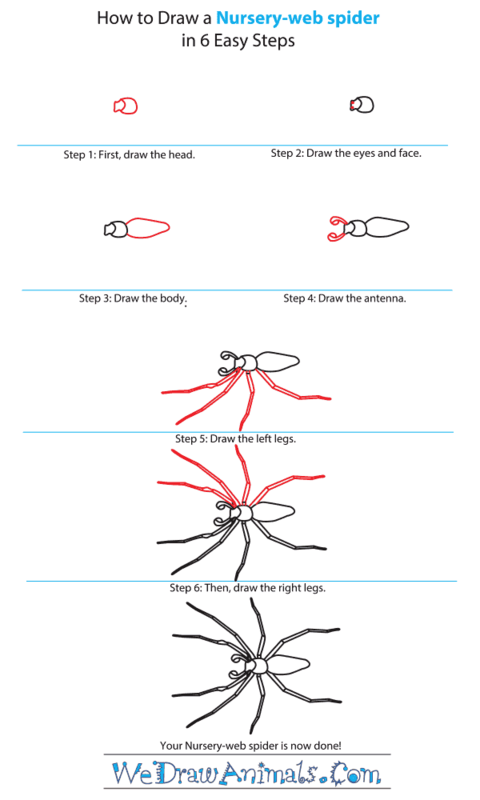 In this quick tutorial you'll learn how to draw a Nursery Web Spider in 6 easy steps - great for kids and novice artists. 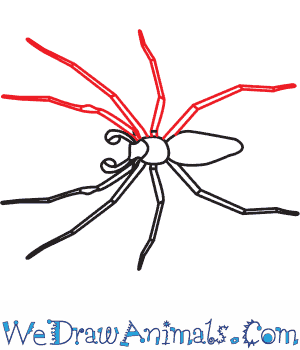 At the bottom you can read some interesting facts about the Nursery Web Spider. Step 1: The first step to drawing the nursery-web spider is to draw the head. The head is small and has an area where the antenna attaches. Step 2: The next step is to draw the face. The eyes will be just after the area where the antenna attaches. Step 3: Next, draw the body. It has a narrow body that is drawn to a point. 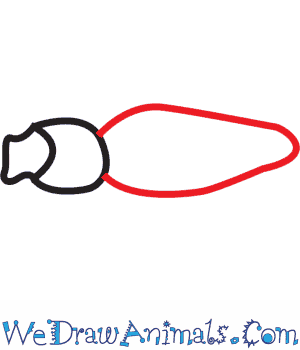 Step 4: Then draw the antenna. 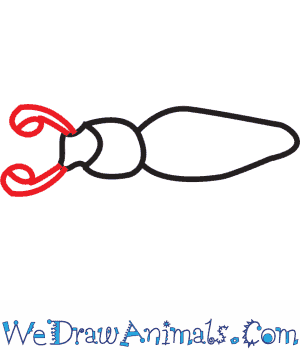 The antennas are curved and are attached to the top of the head. 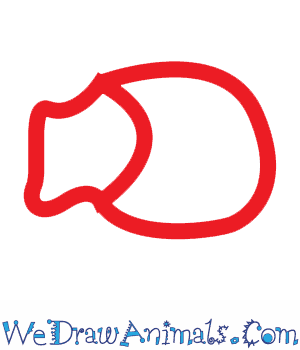 Step 5: The next step is to draw the first four legs on the left side of the body. Step 6: Next, draw the other four legs on the right side of the body. Nursery-web spider belongs to the spider family called Pisauridae. They are spread throughout Britain and are frequently spotted in Leicestershire and Rutland. 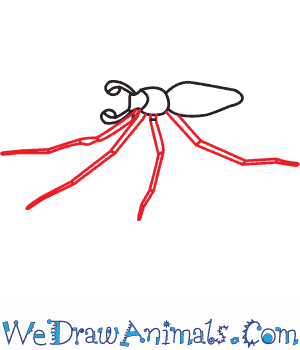 Male spider is usually 10-13 millimeter in length while the females are taller with 12-15 mm. Their color varies from grey through orange to dark brown. Their stomach is lean and pointed and there is a light stripe along the middle of the abdominal covering. In order to defend themselves from approaching predators these can jump up to 5 to 6 inches. Males of this species offer a present to their female mates when the female accepts this gift which is generally an insect, then the reproduction process occurs. The nursery web spider got its name due to the fact that the female spiders constructs a soft web for its young ones and watches over it. Lesson plan note: Make children watch videos of spiders online. They can learn visually how these spiders build a web and hunt for food.